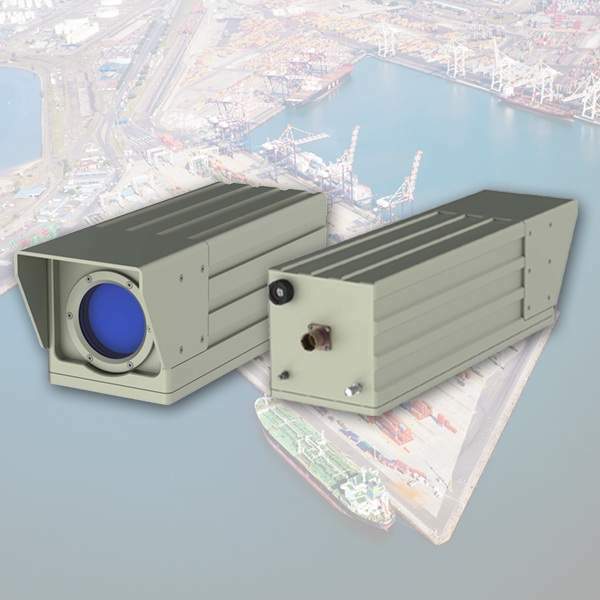 The Spectrel 12200/336 system is an integrated unit, based on a highly sensitive colour CCD camera and a powerful zoom lens, ideal for day/night coastal surveillance, camp perimeter protection, protecting sensitive infrastructures and similar applications. It is designed to deliver high-performance images, even under the harshest conditions, in temperatures ranging from -40°C to +70°C. The optical system was developed specifically for use in long range surveillance. It features continuous zoom, with powerful zoom ratio of 11mm – 200mm, auto-iris and focus adjustment from 1.5m to infinity. The Spectrel 12200/336 has factory pre-aligned bore sighting, aligned in parallel with the optical reference axis of the system. This makes for easy on-site installation. Typical bore sighting deviation is ±0.2 milliradians, the equivalent to staying within a target area of ±20cm, at a distance of 1km. The Spectrel 12200/336 has an integrated movable IR-cut filter that allows capture of colour images with high image fidelity during day-time and crisp monochrome images during low light level conditions. In night mode operation the IR-cut filter is moved out of the optical path, with increased sensitivity (also in near-IR) as a result. The system has a built-in graphic overlay generator that allows arbitrary graphic overlays to be inserted into the image output. Typical overlays are text strings, showing azimuth, elevation, GPS data or status of weapon systems and symbols, such as hair crosses or other reticles. Programming the graphic overlay engine is done via the RS-422 / CAN-BUS interface. Graphic overlays can be customized to suit specific user requirements. Below are typical examples of graphic overlays. The Digital Noise Reduction in the Spectrel 1218/336 camera system is a function that analyses the video image and reduces the noise, particularly in low-light conditions. The analysis is based on a 2D and 3D algorithm. 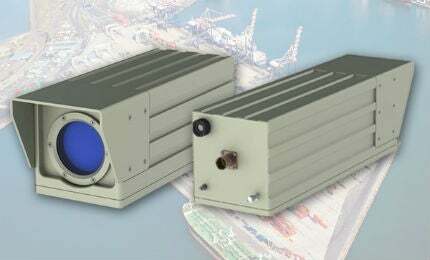 Copenhagen Sensor Technology A/S (CST) is a privately held Danish company specialising in the design and manufacture of high-performance electro-optical solutions for demanding battlefield and surveillance applications. Founded in 2001, CST has rapidly grown to a mature organisation, capable of serving a global customer base. In modern facilities on the outskirts of Copenhagen, Denmark, CST houses R&D, production, QA and sales and marketing functions. With a collective experience in CCD camera, optics, electronics and software development, the highly skilled staff at CST is committed to creating rugged, durable and innovative electro-optical solutions. CST is certified to ISO 9001:2008, which applies to the whole process flow of design, development, manufacturing and testing. Furthermore, design and development activities operate in accordance with the ISO 10007:2003 configuration management standard. CST products are not restricted by ITAR. CST has a long tradition of working closely with its customers, identifying unmet needs and creating solutions with sustainable value for the users. With a strong R&D base at the headquarters in Denmark, CST is able to provide mechanical, optical, software and hardware customisations while meeting the toughest requirements for military, homeland security and high-end surveillance applications. Whether the need calls for a ruggedised high-precision zoom lens or a highly sensitive CCD camera, or a complete system comprising lens, camera and advanced video processing, CST can offer a fast-track design process. Contact us to discuss your specific requirements. Together we can create a solution that provides the best price and performance ratio.